The human body is truly remarkable. Even our smallest cells have a whole living, breathing system inside of them that constantly works to produce energy and carry out the many essential functions required of our bodies. In a very real sense, the human body is complex and strong, capable of achieving so much if we provide it with what it needs to perform well. Still, in another and equally real sense, our bodies are fragile, and they count on us to make a conscious effort to protect them. It’s easier than you think to hurt the body. When you think of disease, you might think of cells randomly multiplying or conditions passed down through genetics. The reality is, the most widespread source of disease stems from something we should be thinking about every day – our diets. It’s important to always support our bodies and our cells – the workhorses of our anatomy – by eating the right things and avoiding the wrong ones. Our bodies need the right nutrition, and enough oxygen, to maintain themselves and a healthy overall system, and they need to be kept away from the many toxins that we eat. Many people associate diets with weight loss. 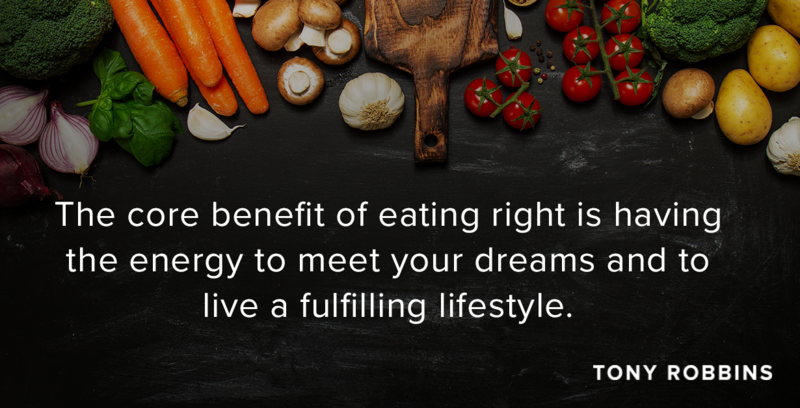 And while weight loss and weight maintenance can be the result of a healthy diet, the core benefit of eating right is having the energy to meet your dreams and live the fulfilling lifestyle you envision. It’s about having a renewed sense of vitality so you can go after your goals. Having the body you deserve isn’t just about having a certain amount of fat, but also consuming the optimal nutrients your body needs so you can experience a holistic improvement in your well-being. This weight loss guide doesn’t solely focus on what you should and shouldn’t be eating – it incorporates mindful practices to better help you become tuned in to what your body’s telling you. Weight loss and maintaining a healthy lifestyle is not about subscribing to a frenetic diet or workout plan. To begin your health journey, start simply with your breath. After all, one of the core elements of your health is the distribution of oxygen. Oxygen serves critical functions in the body, one of these being involved with the creation of energy (ATP). If we don’t take the time to breathe, then we’re not giving our body one of the most important resources it needs to keep functioning. Proper oxygen levels also help clear your body of toxins. Around 70% of toxins are removed through the lungs, and healthy breathing is key to feeling rested and relaxed. Taking time out of your day to breathe deeply is incredibly important, and in fact it’s recommended that you take 10 “power breaths” at least three times a day. What’s a power breath? First, you need to separate a single breath into three components: inhaling, holding and exhaling. Three times a day, in sets of ten, follow a ratio of 1:4:2. If you spend 5 seconds inhaling, for example, then hold your breath for twenty seconds and exhale over a period of ten seconds. Not only will you feel amazingly relaxed, but you’ll ensure that your body is properly oxygenated throughout the day. Your circulatory system helps distribute oxygen throughout your body, and it also protects you from disease. Blood requires a specific and narrow pH balance range that lies between 7.35 and 7.45 to work efficiently. If your blood is outside this pH balance range, then it can’t adequately deliver the oxygen the rest of your body needs to optimally perform. It’s true that the body regulates your pH balance, but it’s also true that you can overtax your body by making its fight against more acidity than it needs to. Where does a majority of this acidity come from? Your food. At the basis of any healthy diet to weight loss is the notion that what you eat matters. A great deal of the food commonly consumed by most people is highly acidic, especially those rich in grain, sugar and processed foods. Too much acidity is associated with inflammation and it can lead to other health problems, such as fatigue and weight gain. You can apply immediate action to your well-being by following this rule of thumb: 75% of your diet should be made of alkaline-rich foods and the other 25% of acidic foods. The fact is that an alkaline diet plan for weight loss comes with other benefits as well. It can help stop premature aging by making sure that your cells can continue to divide and replicate themselves. In other words, it means avoiding the loss of cells that defend and make up your body. As aforementioned, an alkaline diet plan can also help against inflammation and other ailments, including back pain. Similarly, the benefits of an alkaline diet for weight loss are evident. Low on sugar and grain, alkaline diets avoid the type of foods that tend to cause weight gain. More importantly, the alkaline diet’s focus on key fruits and vegetables makes for a nutritious meal plan. Do you worry that following an alkaline diet will prevent you from eating out? There are ways to hack a menu that ensure you’ll be able to enjoy your social outings while doing what’s right for your body. What type of foods fall under an alkaline diet plan for weight loss? Foods rich in alkaline help to naturally balance your blood pH levels. Amaranth, for example, is a little-known grain that is alkaline-forming and comparatively protein-rich. Almond milk is a great substitution for dairy-based milk, and the diet calls for a shift toward green foods, especially vegetables and certain fruits. Avocado, watermelon and tomatoes are examples of alkaline-forming fruits, while fresh cucumber, spinach and onion are examples of vegetables within an alkaline diet. And if you love garlic, you’re in luck, because garlic is also alkaline-forming. Transitioning to alkaline-rich foods instead of heavily acidic ones can be as easy as starting with squeezing a little bit of fresh lemon into your water every day. This is a simple yet effective way to kickstart a healthy diet for weight loss. Although lemons are acidic, when ingested they have an alkaline-producing effect on the body. You can also start by cutting out some acidic foods, such as foods rich in sugar, caffeine and alcohol. Not only are these items acidic, but they can lead to a host of other health problems as well, so doing away with caffeine, sugar and alcohol can benefit your health as a whole. The truth is that people who eat healthy, and who keep their bodies at peak performance, are the same people who turned their “shoulds” into “musts” and met their outcomes. Why? Because they worked toward their objectives and made them a reality. You’ve probably heard that you’re supposed to drink a substantial amount of water per day, but how does water play into a healthy eating plan? It goes without saying, but water plays an important role in our health. It helps us absorb vital nutrients and helps to eliminate toxins that can cause us harm, and all of this plays a large role in why it’s heavily advocated that you drink at least 8–10 cups of water each day. Apart from keeping you healthy, did you know that drinking more water can help you lose weight? According to a 2015 study, drinking water 30 minutes before a meal is associated with weight loss, which makes a lot of sense when you consider that water helps to fill you up without adding calories. In fact, many times when we feel hungry, we’re often just thirsty. Our body signals our hypothalamus (a small part of the brain that’s responsible for regulating mood and hormones within the body) when we’re hungry or thirsty, and the hypothalamus can’t distinguish between the two feelings, which is why you feel hungry even if your body is asking you for water. The next time you’re craving a certain type of food or feel like you need a snack, try reaching for a glass of water first. Drinking water before eating can help keep you full and it can keep those urges that incite you to eat at bay, helping you meet your weight loss goals. Sometimes, though, you really are hungry, and a snack can be an important source of fuel and energy to keep you going through the day. You can still maintain an alkaline diet for weight loss and snack when you need to. There’s no reason to sacrifice the tastes you crave, even when following a weight loss guide. To fight off hunger throughout the day, reach for healthy, nutrient-dense items like carrots and celery with hummus. Likewise, avocado is another great food to snack on, and you can pair it with toasted seeds or Brazil nuts. What’s great about so many of these foods is that they’re extraordinarily filling and you won’t eat a large portion before you feel satisfied and full. Similarly, there are nutritional supplements that can help reduce hunger cravings, while keeping you full of the nutrients you need for peak performance. With clarity and focus comes the power to meet your health and fitness goals. Do you want to lose weight? Are you trying to create more energy? Are you tired of feeling sick? If you know what you want and why you want it, the foods you eat or the diets you adopt are just means to an end, and will ultimately enable you to successfully achieve more in all areas of your life. It can feel challenging to change how you eat, but when you’re truly focused on what you want, you’ll do whatever it takes to create the healthy body you seek and deserve.